Esta publicación ha sido superceded por la última versión de la guía de la ciudad de Roma. Da la precisión habituales para esta ciudad todavía increíblemente histórico muy relajante. 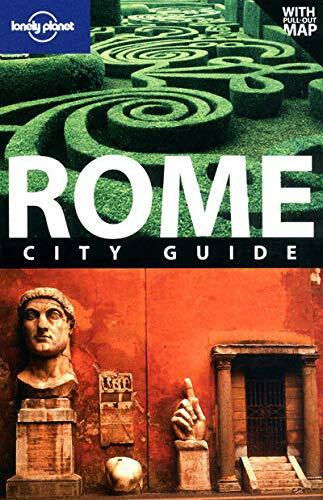 This is the most comprehensive book on Rome on the market. It features excursions to Cerverteri, Viterbo, Orveito, Lake Bolsena, Perugia, L'Aquila, Tivoli, Castelli Romani, Sperlonga and Sabaudia. Insider knowledge gives travellers an insight into the zeigeist of the city with all its contemporary architecture projects and summer festivals. This title focuses on well-priced hotels and dining gives travellers the best value for money.